Leicestershire and Leicester businesses and homes can now apply for the Gigabit Broadband Voucher Scheme (GBVS) as part of the government's £67million investment commitment to make a "full fibre Britain". Eligible businesses and homes will be able to access the nationwide voucher scheme and be approved for vouchers worth up to £3000 for a small or medium sized business or £500 to residents, to support the capital costs of upgrading their broadband and gigabit capable connections. This scheme is part of a wider government plan to get more homes and businesses connected to full fibre broadband and forms part of the Government's commitment to make superfast broadband available to at least 10 million homes and businesses by 2022. Grants available between £7,500 and £75,000 for up to 40% of project costs in most cases. Following the success and popularity of Rural Community Council's 2017 Awards and culminating in a celebration dinner on the evening of 11th October 2018 at Winstanley House, the 2018 Rural Achievement Awards will again reach out and bring together people from across Leicestershire and Rutland to recognise the achievements of individuals, community organisations, businesses and groups active within rural communities. Full details of our categories and guidelines on how to enter are covered within the attached guide (see link below) and can also be found at www.ruralcc.org.uk/awards. You are encouraged to enter as many local projects, services, facilities and volunteers as possible. It would also be great if you could use this information along with the attached press release to spread the word and let other people within your community know about the exciting opportunity to enter the awards. The Rural Community Council are really looking forward to hearing about what's great in your community and hopefully to rewarding the commitment and positive contribution of people and organisations in your area. 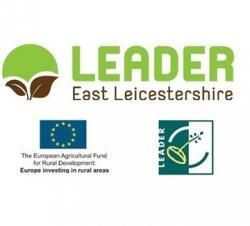 An open networking event to find out more about the East Leicestershire LEADER programme and funding opportunities for rural businesses to diversify and grow, in addition to support for community and rural projects. If you have a project and would like to find out more about LEADER funding, come to our open evening and receive information and advice in relation to submitting an application, as well as other funding and business support opportunities. Farms, businesses and community groups are invited to submit applications to the LEADER grant scheme which aims to boost East Leicestershire's rural economy and create jobs. LEADER, part of the European Union's Rural Development Programme, was launched locally in 2015 to support rural business to diversify and grow across Melton and Harborough, as well as parts of Charnwood and Blaby. Grants are available from £7,500 up to £75,000 across all priorities. Applicants have until Monday 30th April to make expressions of interest for projects that increase farm productivity or diversification, support small and micro businesses, boost rural tourism, provide rural services, provide cultural and heritage activity or increase forestry productivity. An additional deadline for Leicestershire County Council's SHIRE Community Grant has been set for the 26th of February 2018. Please note, for this additional final grant round for 2017-18, applications for funding will only be accepted for capital projects which closely align to the existing grant criteria. Capital projects could include; the purchase of equipment, tools, machinery, vehicles or improvements to a building, which are essential to the delivery of your project or activity. Decisions on applications will be made in March 2018. The amount of funding remaining in the grant budget is limited. Therefore we will only be able to award capital funding to those projects which most closely meet the grant eligibility criteria. Where appropriate, any applications not approved for capital funding in this final round for 2017-18 will be considered in Round 1 of the 2018-19 SHIRE Grants programme, which is due to open in April 2018. If you have a project idea you think may be eligible for capital funding, please contact: shiregrants@leics.gov.uk, before completing an online application form. 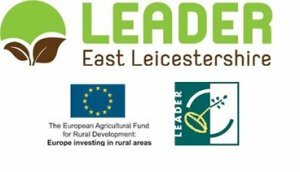 In conjunction with the Rural Payments Agency, the Leicester & Leicestershire Enterprise Partnership is holding an event for businesses and organisations wishing to apply for grants from the EUROPEAN AGRICULTURAL FUND for RURAL DEVELOPMENT (EAFRD) and local LEADER Growth Programmes. TOURISM INFRASTRUCTURE; capital investments to help create visitor attractions, recreational and small scale infrastructure to increase visitor spend and attract visitors to stay longer. FOOD PROCESSINGinvestments to support growth in local food and drink processing businesses and encourage innovation, higher productivity and skills development. BUSINESS DEVELOPMENTinvestments to create jobs and develop new or grow existing micro and small businesses in rural areas. This includes helping farm businesses diversify into non-farming activities. The Rural Payments Agency will be speaking about the national Growth Programme and application process and local partners will be providing information on priorities for local calls, including East Leicestershire LEADER and North Warwickshire and Hinckley & Bosworth LEADER, as well as other grant funding opportunities. There will be scope for interested businesses and stakeholders to discuss in more detail potential projects and making application to the programmes as well as networking with other interested parties. Revised RDPE Growth Programme Handbooks have now gone live on gov.uk (link to the page here) where further guidance about how to apply can be found. Capital grants from £5,000 to £25,000 are available for organisations looking to grow, made up to 33% of the project cost. This could be used for premises improvement or expansion, computer hardware, tools or machinery. Businesses must have been trading for at least 12 months and sell business-to-business. Eligibility criteria applies. This project is funded by the European Regional Development Fund and partner organisations: Leicester City Council, Leicestershire County Council, East Midlands Chamber (Derbyshire, Nottinghamshire, Leicestershire) and the Food and Drink Forum.